MAY 21--Next week, Eminem and a former elementary school classmate are scheduled to face off in a Michigan courtroom over the superstar rapper's recorded claim that he was repeatedly terrorized by the other man when he was nine years old. In "Brain Damage," a cut from Eminem's second album, the performer named DeAngelo Bailey as his elementary school tormentor, a bully who "banged my head against the urinal 'til he broke my nose. Soaked my clothes in blood, grabbed me and choked my throat." Claiming that he was defamed by the song (and had his reputation damaged), Bailey, a sanitation worker, filed a $1 million lawsuit against Eminem (real name: Marshall Mathers) in August 2001. Eminem's defense in the Macomb County Circuit Court case--scheduled to begin May 30--is that he wrote the truth. And the rapper, 30, will surely point to a 1982 lawsuit filed by his mother to buttress his defense. 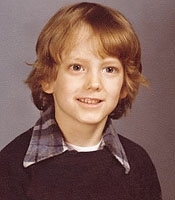 Claiming that little Marshall was frequently beaten by Bailey during the four months Eminem attended Dort Elementary School, Deborah Mathers sued the local school board for failing to protect her child. Her complaint details various assaults and resulting injuries, including a cerebral concussion and post-traumatic headaches. In a subsequent filing, Eminem's mother describes a run-in with Bailey that occurred after a game of "King of the Hill." Submitted by GeorgeDubyaBush on Mon, 2010-10-18 08:29. He beat the fame into eminem. he should get 2% of eminem's yearly income for having shch a profound impact on this great white rapper.